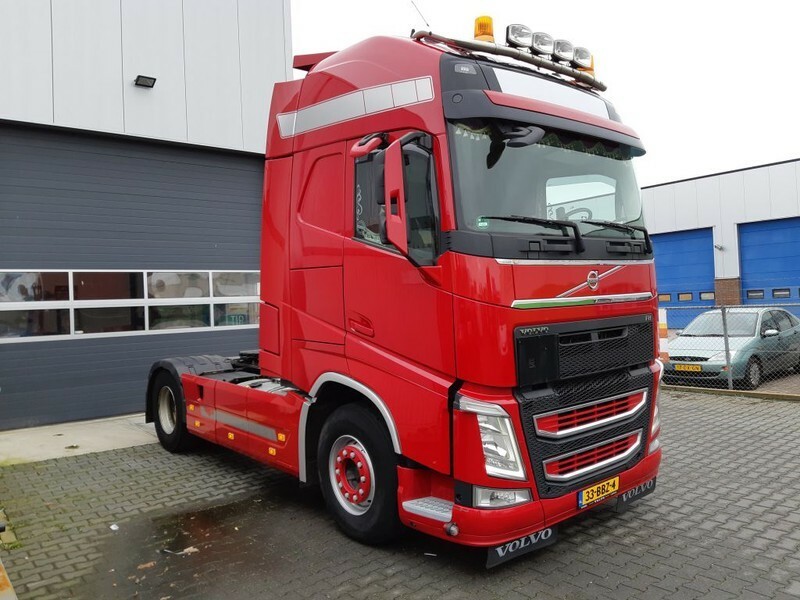 Buy Volvo FH4 XL 460 Euro 5 tractor unit by De Bruin Trading B.V. Check the technical data of the unit, picked out from the catalog of VOLVO FH tractor unit. Engine details/gearing and fuel type: displacement: 12777 cc, engine cylinders: 6, gearbox: automatic, transmission: Automatikgetriebe. Wheel formula and suspension type: 4x2, number of axles: 2, steering axles, wheel base: 3800 mm, ABS, chassis side skirts. Cab comforts include cab type: sleeper cab, cab model: Globetrotter XL, roof spoiler, fog lights, xenon lights, sunvisor, power windows, electric mirrors, central lock, air conditioner, parking heater, cruise control, radio, CD, navigation system, fridge. Body dimensions and options: tool box. The mileage is 791235 km. Try the customer-oriented service, provided by De Bruin Trading B.V..